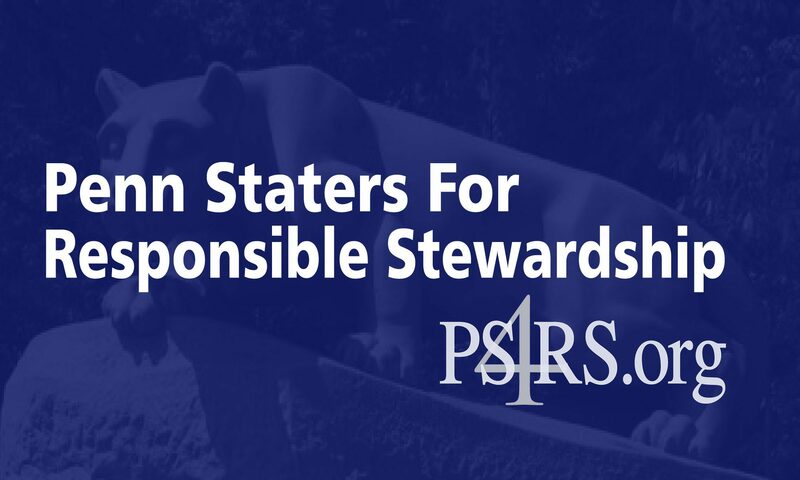 Penn Staters for Responsible Stewardship is proud to announce the addition of Dan Wallace to our Board of Directors. With a strong interest in government relations, Dan has been interacting with state legislators on critical issues related to the Sandusky Scandal. In his new PS4RS board role, Dan will continue to utilize his experience in dealing with local, state and federal officials to keep the membership of PS4RS informed, and will represent the organization at key meetings, hearings and other government events that affect the future of Penn State. Dan plans to be an “Alumni Advocate” for truth, justice, transparency and excellent governance. A graduate of the Smeal College of Business, and Past President and active member of the Football Letterman Club, Dan has enjoyed much success through his career in corporate real estate development. We’re glad to welcome Dan aboard, and are confident that his experience and interests will further expand the role of Penn Staters for Responsible Stewardship in the ongoing effort to achieve positive change at our great University.